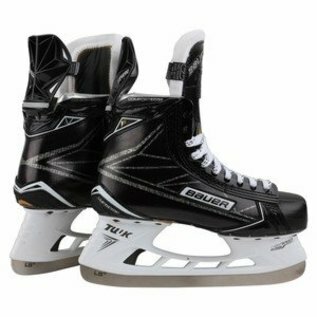 The 1S Youth skates from Bauer are the best they have to offer developing mites who are building their stride and making their way onto the ice. The 3D Reinforced trueform PU quarter package creates a stiff, stable boot that will encourage skating with proper form, without being painfully rigid. The boot is also outfitted with Bauer's Comfort Edge system which is designed to keep the edges of the skate from digging into the ankle, making these skates less intrusive than many of their counterparts.